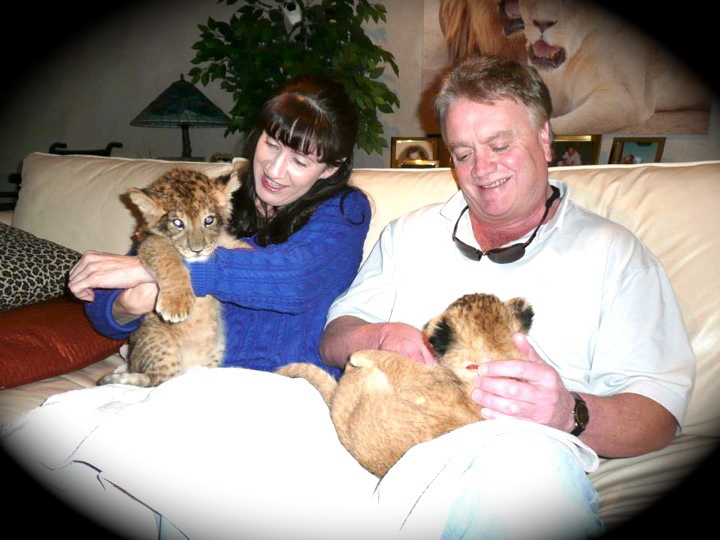 NomadGrad.com and The Lion Habitat Ranch hosted a visit from the grand prize winners of the Cub Encounter Contest, Keith Olsen and Stacey Moore. They came all the way out from Bellingham, Washington to play with the newest members of our Vegas pride. I couldn’t wait to give you guys the full run-down of their visit, and Stacey Moore was kind enough to share some words about her experience. I hope you enjoy their journey as much as I enjoyed sharing it with them! The opportunity to share this special time in the cubs’ lives was such a treat for both Keith and I. 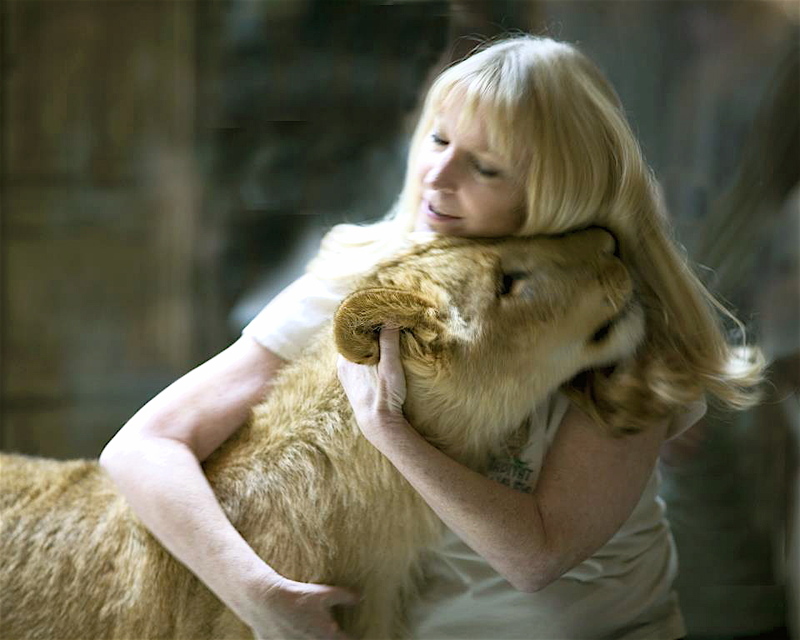 Who gets to hold, nuzzle, cuddle, bottle feed, and burp a baby lion? I did and I loved it! I’m addicted now and can’t wait to go back to Vegas and visit the ranch again to see how the cubs progress as they get older. Our visit was on a sunny December day which matched the disposition of the sweet lion cubs who provided us with some Christmas Cheer. Cash and Pepe were absolutely delightful. I was surprised at how soft their coats were. Their paws were so large, but they were gentler than a small puppy. Their “talk”, which I described as a sort of a chirp at first, later became more of a noise a puppy would make, then sounded like the familiar vocals of my recently departed, 18 year-old domestic tabby, Kato— a half a meow. (Kato also used to do a barely audible version.) At one point, Cash did a little growl, which I felt more than heard. Too cute! The tour with you and your father of the enclosures with the full-grown lions was another highlight. Cristina, the trainer, answered a myriad of questions about general lion behaviors and specific questions about the lions on the ranch. I can’t imagine where else on this planet I could possibly experience listening to all these lions roaring in unison. They appeared to be spreading the word that we were there. I would certainly not want to hear this at night out in the wild. I get shivers when I think of it and giddy when I try to describe the sound to friends and family. One of the videos I took has good audio of a few of the lions, but the sound we heard at the beginning of the tour with so many of them in unison has to be experienced to be believed. The biggest highlight of the tour was when we arrived at the large enclosure with the six lionesses and you pointed out Louie B… the cub we held on July 1, 1999. Louie B has grown to be such a regal creature. She was more interested in sunning herself than paying us any attention. However, when we got closer, she began to talk and luckily, when I turned the video on, I got some great footage and audio of her. We have the framed photo from 1999 and the photo and videos from 2012 on the computer and it’s amazing to compare them. If Louie B had been a cub born in the wild, her chances of being around this long are not very good. As I heard the head trainer Keith Evans say, trophy hunters are the biggest threat to lions in the wild. It’s such a shame. 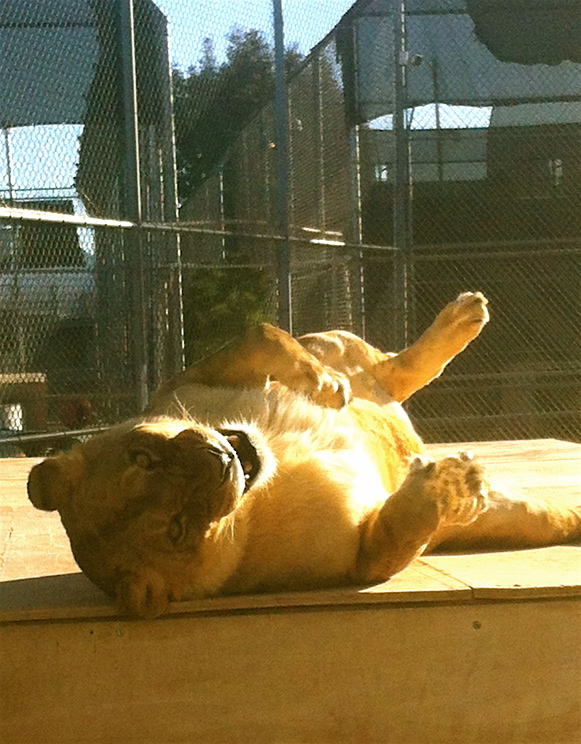 I’m thankful that these lions have such loving, caring humans taking such good care of them and protecting them. Thanks again, Hilary, for this opportunity! 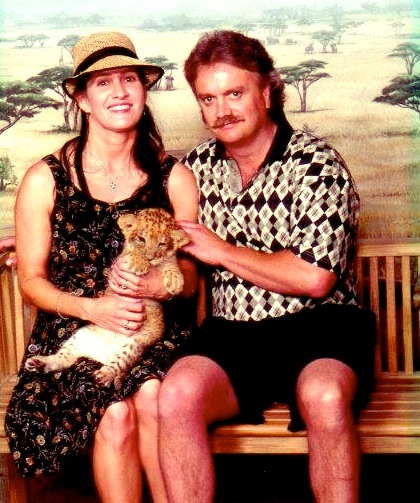 Keith may have been the “official” Grand Prize winner of your Cub Encounter contest, but as his guest, I felt pretty lucky to visit the Lion Habitat Ranch, too. Thanks, Stacey, for sharing your experience with us! 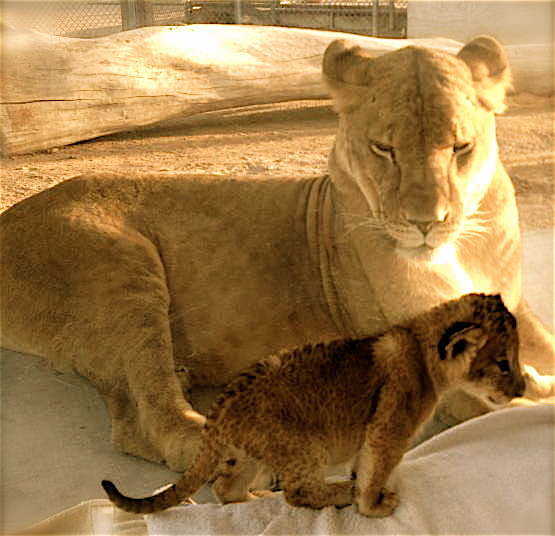 If you are interested in learning more about The Lion Habitat Ranch, or making your own appointment to come see the pride, visit their website and ‘like’ them on Facebook! 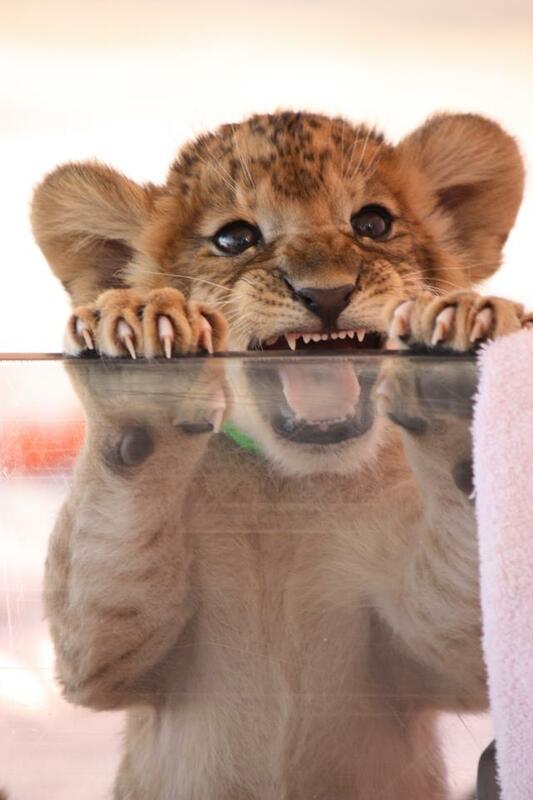 This entry was posted in Giveaways, Las Vegas, NV and tagged animal encounters, Cubs, giveaways, Las Vegas, Lion, Lion encounters, Lion Habitat, Lion Habitat Ranch, Metro-Goldwyn-Mayer by Hilary Billings. Bookmark the permalink. Nice to meet you, Henry! Thanks so much for stopping by. I appreciate your comments and support! Gorgeous, beautiful post! I’ve always wanted a pet lion! Wow, really cool. And totes adorbz. and very cool that they were able to see the cub they met years ago! Wow. 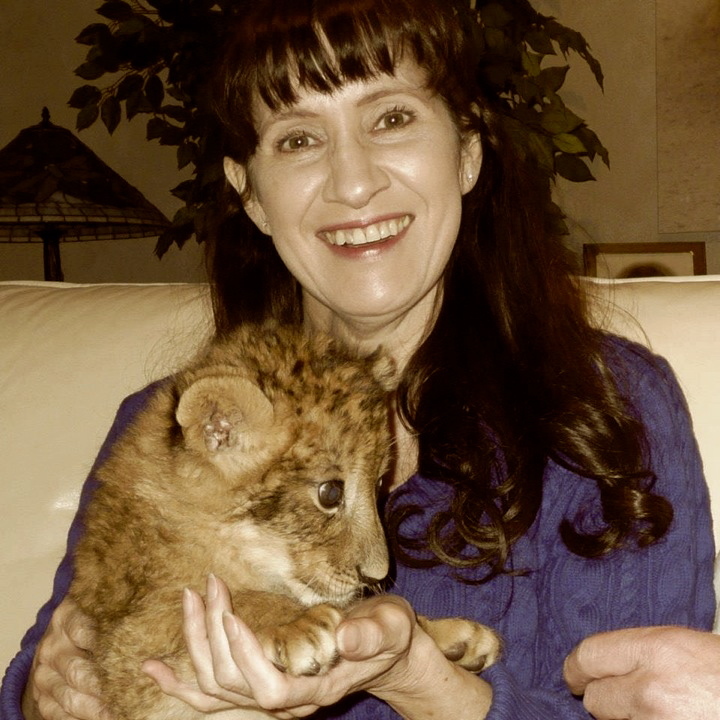 What a great experience- especially to have held a cub and to return to see it later as an adult. I volunteered at an animal sanctuary in Ecuador and had the opportunity to work with adult lions. It was amazing, exhilirating, and kind of frightening! I can only hope to work with cubs some day. Congratulations to the couple for being able to have this wonderful adventure! Thank you, Christina! I know, they are such majestic creatures. The photos never do them justice. To stare into their amber eyes is such a breathtaking and indescribable experience. But you walk away feeling different, don’t you? How long ago was this? Do you know how the cubs are doing? Wonderful. That is a lifetime memory. Thanks, Gene! I like being in the business of lifetime memory making. =) Let’s do more of that. What a great life accomplishment! I’m jealous.